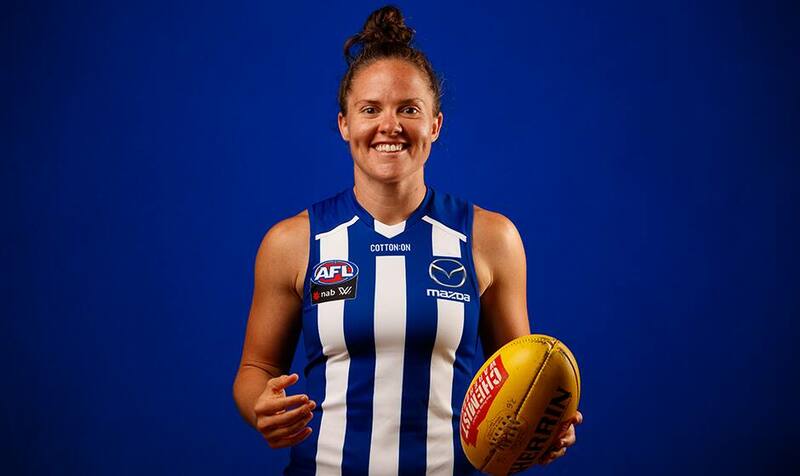 The North Melbourne Tasmanian Kangaroos have recruited what many have labelled as one of the strongest teams in the AFLW, and captain Emma Kearney is confident they are ready to fire. "We've recruited to win a premiership ... we're backing in our ability to win our games, and we've got a game style that can win games. So fingers crossed we can gel and make it happen," Kearney told The Age. Feeling fitter than ever, the 29-year-old will be one to watch coming off a best-and-fairest season. Captaining North’s inaugural side, Kearney has already marked the date the Roos will line-up against her former side, the Dogs, in Round 3 at University of Tasmania. "I think there's a few at that club that aren't overly impressed by North [recruiting], so that'll be a fiery, emotional match. Which I can't wait for, because those sorts of heated battles spur me on even more," she said. Kearney simply can’t wait to line up in the royal blue and white stripes. "I remember speaking to someone at North when they missed out on a licence [in 2016]. I said when North do get a licence, I'll come play for them," she said. "I was really happy at the Bulldogs, they were great, but North was where I felt like it was my home." 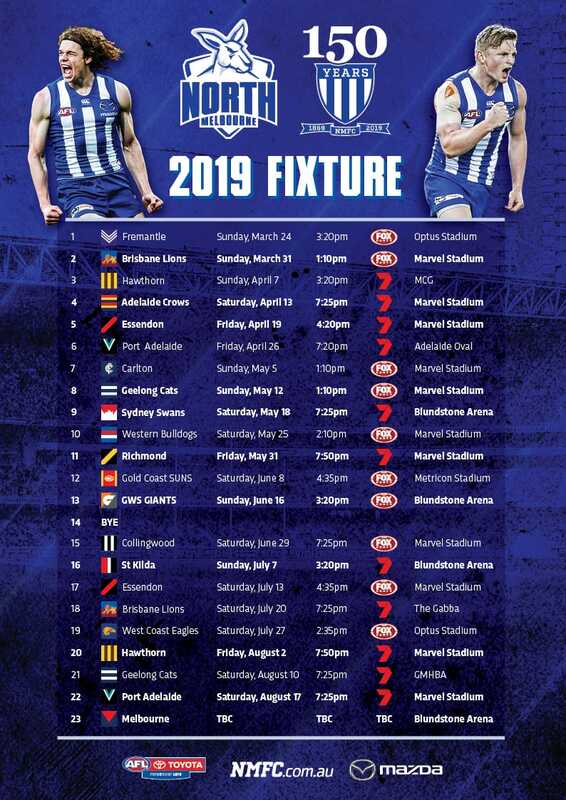 North joins the 2019 conference system competition alongside Geelong, with each team playing four games against their conference rivals and three ‘crossover’ matches. North will play Carlton in its historic inaugural match at 1.05pm at North Hobart Oval next Sunday, February 3.